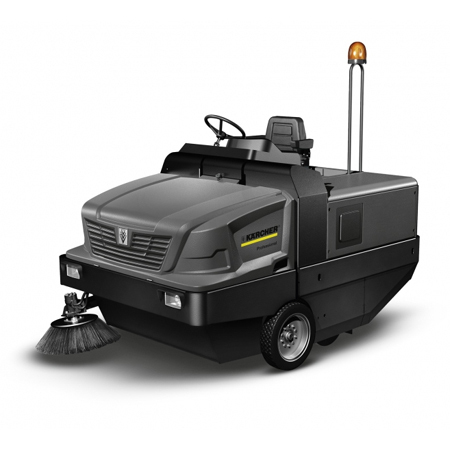 The KARCHER KM 150/500 is a battery powered ride on sweeper. All control elements are clearly arranged and within easy reach. All displays are within view. The simple technology with tried-and-tested components and easy access to the motor compartment for quick and easy servicing. The KARCHER KM 150/500 is ideal for extreme jobs.